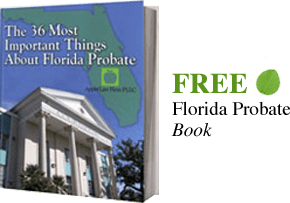 A Florida lady bird deed is one of the newer and most important estate planning tools that Florida has to offer. This relatively new form of deed is more formally known as an enhanced life estate deed, and it allows property to pass automatically to designated beneficiaries at death. One of the best reasons to use a Florida lady bird deed is that it can help our clients to become eligible for Medicaid, which is a government assistance program that provides healthcare coverage to those who pass The Income Test and The Asset Test. This type of deed, along with a Qualified Income Trust, can be used to qualify for Medicaid benefits and to keep assets in the family that would otherwise be taken by the Medicaid agency to repay the cost of Medicaid benefits a person may receive during their life. So How Does the Lady Bird Deed Work? As stated earlier, a Florida lady bird deed is an enhanced life estate deed where the owner of a piece of property gives the property to another person, but keeps the right to live on the property until he or she dies but reserves the right to make changes without the consent of the future owners. This is similar to a common life estate deed transfer. What makes the lady bird deed so special is that it gives the grantor of the deed some additional rights. A standard life estate deed comes with many restrictions. Once the deed is given, the former owner loses his or her right to sell or mortgage the property. This person becomes liable to the beneficiary of the deed for any misuse of the property, or the property depreciates in value. The person holding a life estate in the property possesses many of the same restricted rights as a tenant renting a property from a landlord. The Florida lady bird trust lets the person holding the life estate in the property to retain far more property rights. Like the standard life estate deed, the lady bird deed lets the property avoid the probate process. Unlike the standard life estate, the lady bird deed allows the life estate holder to keep the right to use and profit from the property during his or her lifetime, and to keep the right to sell the property at any time. Another great benefit of this is that it allows the grantor to avoid making a gift that is subject to the federal gift and estate tax. The lady bird deed may also prevent the property from being sold after the death of the life estate holder to repay the cost of the Medicaid benefits received. How Does the Lady Bird Deed Help People Qualify for Medicaid? Medicaid benefits are only given out to people who pass the federal government’s Income and Asset tests. The tests are in place to help people who truly need financial help for medical costs through its assistance. However, the requirements to become eligible for Medicaid assistance are extremely restrictive. The current requirements would not allow many middle class residents to qualify for help and leave them unable to afford expensive healthcare costs such as nursing care or assisted living. A Florida lady bird trust is a tool that can allow a person hoping to qualify for Medicaid benefits to pass The Asset Test. Typically a person’s primary residence is not counted under The Asset Test if the equity of the home is under a certain value ($552,000 in equity). However, with rising home costs and inflation this restriction is easy to exceed. Medicaid also has a “look-back” period when determining what assets are counted for The Asset Test. When someone applies for Medicaid benefits, the federal government will look back 60 months (5 years) to see if the applicant has given away assets. Even if the person no longer owns the assets, he or she may still be held to have the assets for purposes of obtaining coverage. This is done to prevent people from simply giving away their estates early to their heirs in order to qualify for aid. The good news is that a lady bird deed in Florida is not considered a transfer for Medicaid purposes. This is because a person retains control over the property. Some history buffs may see the word “lady bird” and assume this legal deed was named after former U.S. President Lyndon Johnson’s wife Lady Bird. This is partly correct. The lady bird deed was created by a Florida lawyer in the 1980s. When explaining the deed to his colleagues he used Lyndon Johnson and his wife to explain how the deed would actually operate. Word of the deed spread throughout the legal community and the name stuck. TO SET UP A Free Consultation*, CONTACT A FLORIDA LADYBIRD DEED LAWYER ONLINE OR CALL US AT (904) 685-1200.